The month of ”Movember” is now upon us, as men around the world grow their ‘staches for a month. They do this to raise awareness and funding for prostrate cancer and mental health- serious issues which affect men. Keeping in mind that we have written about mental health in the past, it made sense to follow up with a discussion about prostate cancer in Sri Lanka and how it affects life insurance applications. Aloysius, C reports that prostate cancer is where abnormal cells grow excessively in the prostrate gland, and spread to the rest of the body. This is the most common type of cancer faced by men all over the world. Some studies suggest that Asian men have the lowest reported levels when compared to other races. However, when reported, they are more likely to have more advanced stages of prostate cancer when compared to their counterparts. Aside from Prostate cancer, mental health issues are very common to Sri Lanka. The National Institute of Mental Health (NIMH) reports that 20% of Sri Lankans suffer from a mental illness, and only one in five of those receive the necessary treatment. There are numerous reasons cited for this; too few doctors treat too many patients (over 200 patients visit centres daily, and less than 70 qualified personnel cater to them) and treatment centres are only available in cities. The social stigma associated with having a mental illness is another reason why men are reluctant to get treatment. This appears to support the findings above, where men are reluctant to seek treatment until the disease, (prostate cancer or mental illness), has gotten worse. 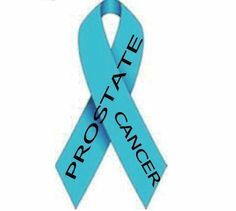 If you have prostate cancer (or know someone who does), and need life insurance, call us on 0114-384-384. As an insurance firm, we are committed to helping you by protecting you and your loved ones. ← REVIEW: Activity Trackers, The Next Big Thing, or just a Fad?